Hanger Barn is a Richmond Bell Architects project situated just outside Malmesbury that has recently been granted planning permission by Wiltshire Council for conversion into a residential property. The barn was previously a Class Q Agricultural Building, but will be transformed into a New Dwelling (Use Class C3), under General Permitted Development Order 2018. Richmond Bell Architects have created a contemporary design with larch cladding that wraps over to create the roofing material. The property features a glass wall that provides light and the feeling of space to the large kitchen/family room on the ground floor, while the rest of the house is atypically laid out, with the bedrooms on the ground floor and the living room positioned on the first floor mezzanine to maximise the stunning views across the surrounding countryside. 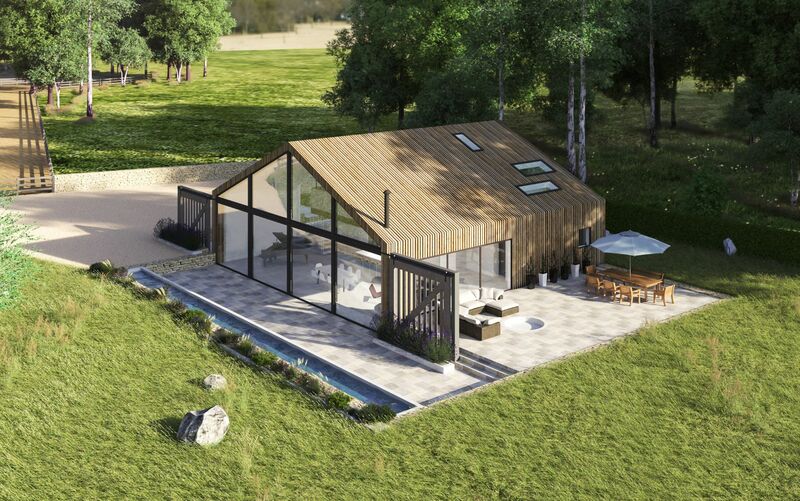 The barn will soon be available for sale as a development plot – contact us for more details.